So since I haven’t baked anything in a while AND it’s Pi Day today I thought it was the perfect excuse to bake a pie! 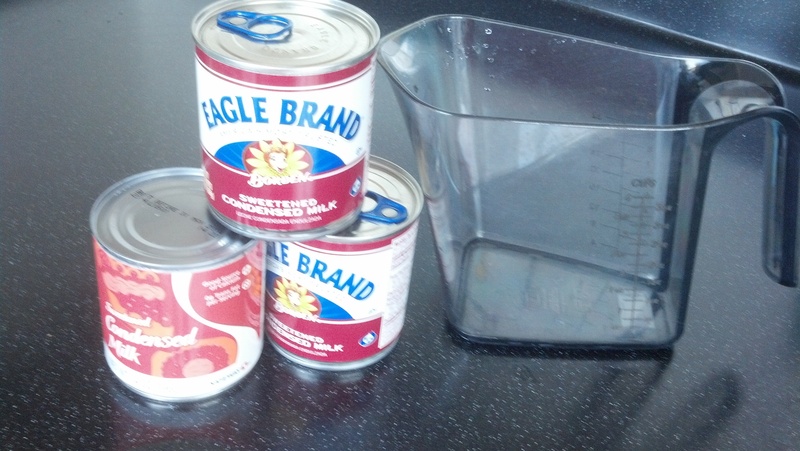 (You can actually use the slightly larger pie pans and be just fine. I think they have 2 extra servings). 2. In a medium bowl, combine the condensed milk, sour cream, lime juice and lime rind. Any store brand Sweetened Condensed Milk will do. You CAN measure it out BUT it is easier if you just pour it straight from the cans since they do get a little sticky. One 14 ounce can equals a cup so you can just use 3 cans with 14 ounces each. It’ll save you a lot of mess and hassle. 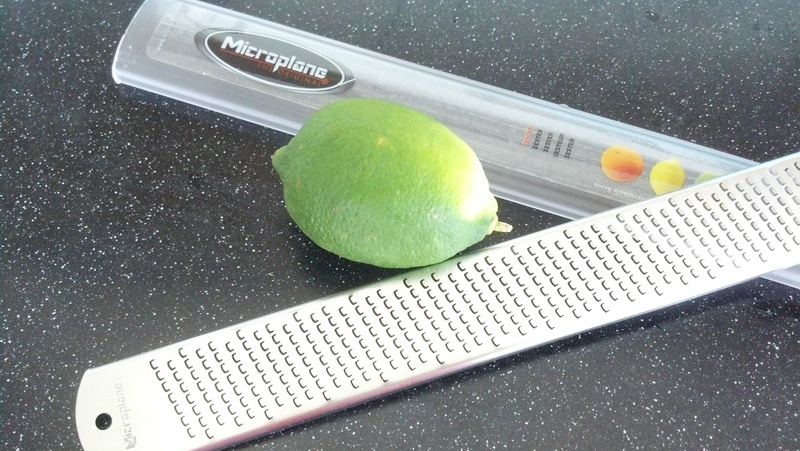 Get a nice lime and grate it to get the lime zest/lime rind. It usually works better if you use a Microplane grater. I bought mine for about $12.50 which isn’t TOO bad. And make sure not to grate any of the white sections for it will be quite bitter. If you just grate the outside of the whole lime, you should have enough. 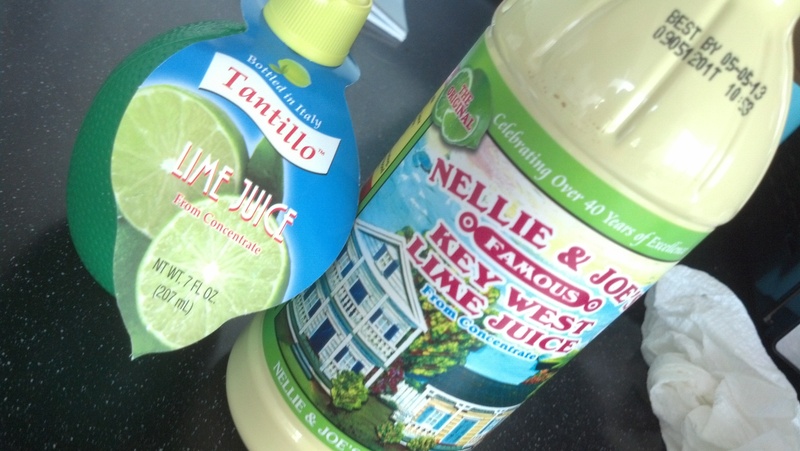 For the lime juice, I actually went out to a specialty baking supply store and bought Key Lime juice BUT if your supermarket only has the Lime juice pictured on the left, Tantillo Lime Juice, that usually comes in the shape of a plastic lime, that’ll work too. 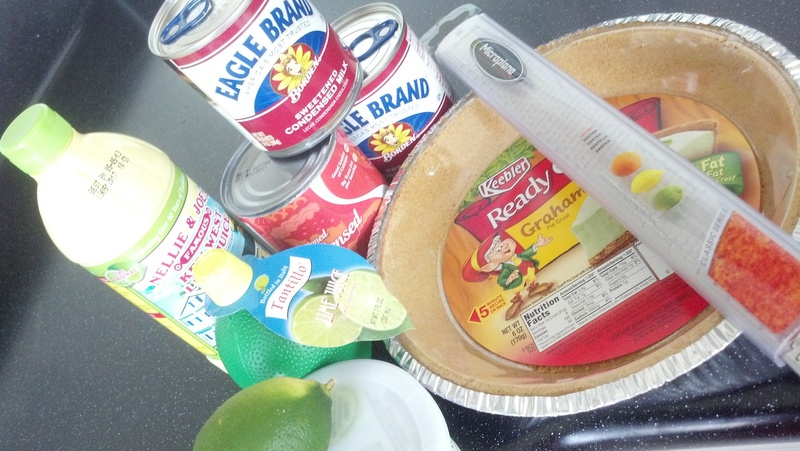 I asked my mother-in-law and she said that’s what she uses every time she makes a key lime pie. What’s different between the two is only minor where the key lime juice will be a little more tart. Like I said, either one is fine. 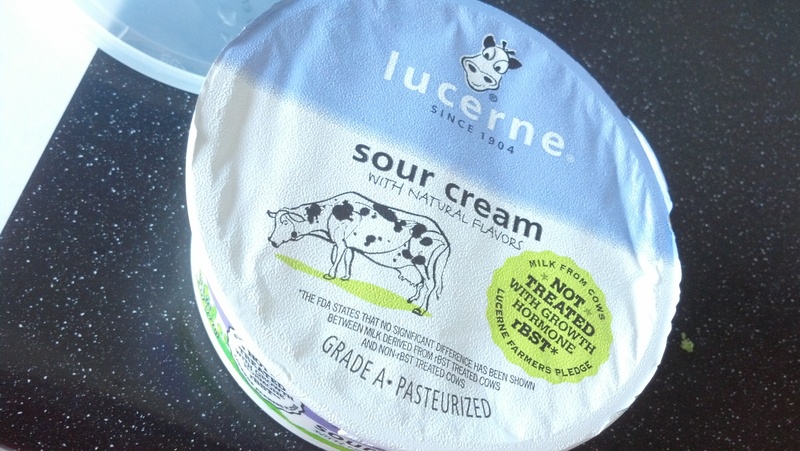 Any sour cream should do. 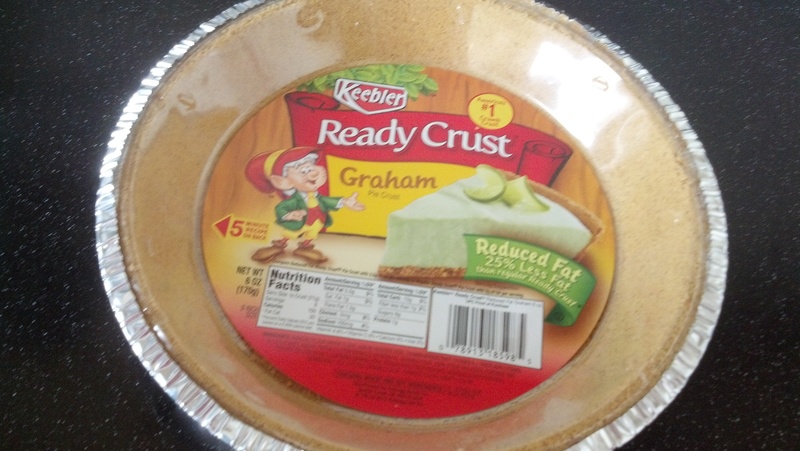 And no I did not get the reduced fat pie crust on purpose. They actually ONLY had this one for sale. Go figure. 3. 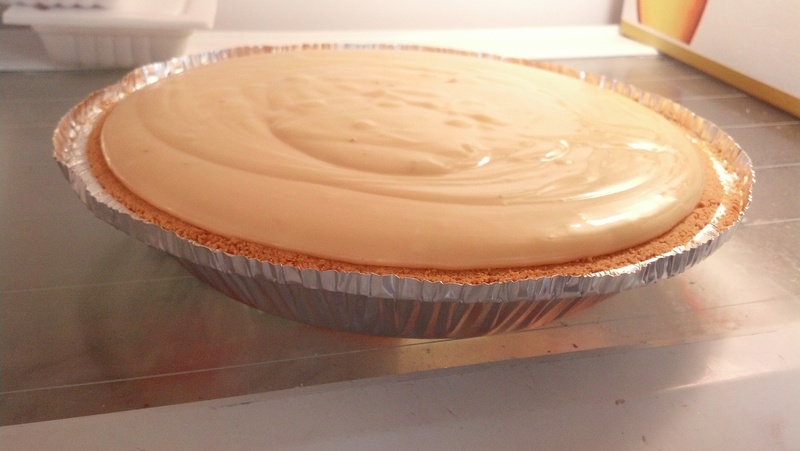 Mix well and pour into the graham cracker crust. Like I had mentioned earlier, you may use a larger pie crust. The reason being is that there will be a little filling left over. I OVER filled mine and STILL had a ton left over. -If you put it in a 9 inch crust WITHOUT overfilling it, it should be about 8 minutes. -If you put it in a 9 inch crust and DID OVERFILL it, it will be more than 12 minutes. You can set a timer but what you can look for are tiny pinhole bubbles bursting on the surface of the pie. That is when you know your pie is ready. MAKE SURE NOT TO BROWN YOUR PIE!!! 5. Chill the pie THOROUGHLY before serving. And you can garnish with slices of lime and whipped cream if you want!